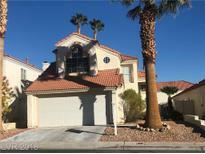 Below you can view all the homes for sale in the Lakes West subdivision located in Las Vegas Nevada. 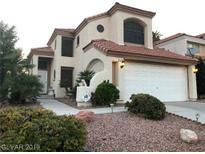 Listings in Lakes West are updated daily from data we receive from the Las Vegas multiple listing service. To learn more about any of these homes or to receive custom notifications when a new property is listed for sale in Lakes West, give us a call at 702-323-5933. Beautiful 5 Bdrms @ The Lakes, One Dwntrs, 3 Full Bths, Formal Livdin Rm, Sep. Family Rm W/Gas Fireplace, Master W/Sitting Rm & Dual Fireplace, Kitchen W/Grnctp, Wlk-in Pantry, Cuscab, Island, Recessed Lighting, Travertine, Carpet And Wood Flooring, Backyard W/Builtin Bbq, Fenced Pool & Spa, 10x12 Gazebo, Patio Shower ,Finished 3 Car Garage. Furniture Available Upon Request. 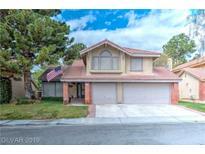 MLS#2088809. Ameropan Realty and Property. This one wont last! Welcome Home! MLS#2082054. Wardley Real Estate. Lush tropical backyard w/waterfall pool, wraparound veranda. Charming details galore, must see! MLS#2071657. BHHS Nevada Properties. Living room w/Fireplace, Large Kitchen with Kitchenette Area , Formal Dinning & Living Room. MLS#2054674. AMaxima Realty and Property Ma.